The NanoPlus is a unique instrument that utilizes photon correlation spectroscopy and electrophoretic light scattering techniques to determine particle size and zeta potential. The instrument can measure the particle size of samples suspended in liquids in the range of 0.6 nm to 10 ?m with sample suspension concentrations from 0.00001% to 40%. This instrument also has the ability to measure the zeta potential of sample suspensions in the -200 mV to +200 mV range with concentrations from 0.001% to 40%. The NanoPlus is compact and easy to use with intuitive software and multiple sample cells to fit the user’s application. 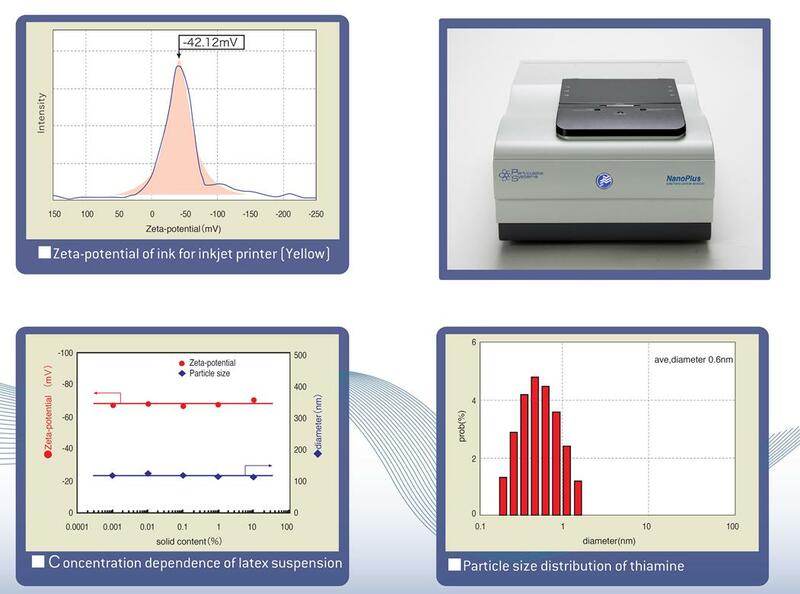 NanoPlus-3 – combination nano particle sizing and zeta potential instrument.